The burgeoning Smashburger chain switched up its vegetarian offerings recently, offering a new black bean patty available as a cow or chicken substitute on any of its sandwiches. It's pretty good stuff, too: a soft, delicate, almost crumbly patty with plenty of flavor. They smash it on the grill and quick-cook it, just like they do with their beef burgers. 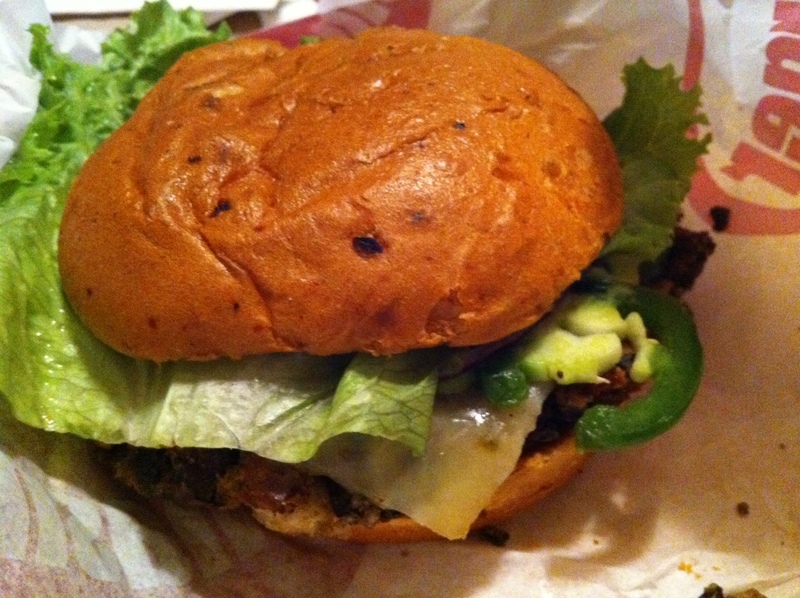 The obvious choice for this specialized faux burger is the Spicy Baja option, with pepperjack cheese, guacamole, fresh jalapeno, lettuce, tomato and onion. The hot-to-cool balance is particularly effective against the lighter flavor of the black bean burger, resulting in an ultimately satisfying veggie experience.